Skinny Jeans Dreams: long-term results come from long-term changes! Anyway, do you watch the DIET infomercials? 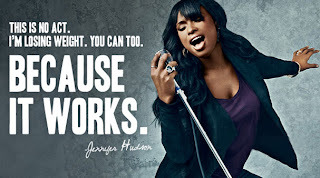 I always watch them just to see what they have to say and 9x out of 10 I find myself getting mean and protective of my beloved Weight Watchers, especially when they said "You don't have to go to meetings.. just blah blah blah" - I'll get back to why that bothers me so much when they say that! 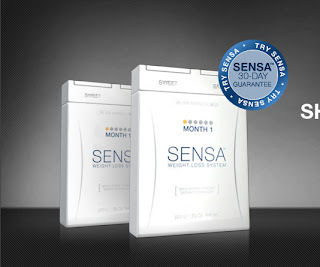 The most recent one I saw was called Sensa - The Revolutionary Weight Loss System. First of all whenever an infomercial says "revolutionary" I immediately don't want it. 9x out of 10 to me that means it's too new to know the negative effects down the road. Anyway, this Sensa thing is basically this magic sprinkle that goes on top of your food and VOI LA! You lose weight. No time, energy, or effort needed. Someone on the infomercial even said, and I quote - "You don't have to increase your exercise or change your daily routine." Soo you already know where I'm going with this..
What happens when you run out of Sensa magic sprinkles??? LOL Or what happens when we find out that Sensa causes cancer?? (You know everything "causes cancer" these days) Then what??! I hate the whole "Magic pill" concept. There is no magic pill. There is no magic food that you get in a box. There is no one specific thing that will give you long-term results. Long-term results come from long-term change and very few of these weight loss plans offer that. Everyone wants to lose weight as fast as possible with as little effort as possible. In fact, one of the men on this commercial for Sensa said he lost 97lbs in 7 months. umm. Really??! That's a bit extreme. Who wants to take bets on how long it took to gain back when he ran out of Sensa sprinkles? Anyway, my point is that the healthiest way to lose weight is to change your lifestyle! You gained the weight by living a certain way, you have to change that in order to reverse the process. And any weight loss plan that says you don't have to exercise simply doesn't make any sense. Exercise is ESSENTIAL in becoming a healthier individual. Did you ever notice how passionate the people on the infomercials get explaining why their revolutionary products work and how you just have to look at the science behind it to understand and so on and so forth??? Did you ever notice that when you see a weight watchers commercial they don't need to explain their science? Weight Watchers - BECAUSE IT WORKS! I love the freedom of the plan. I don't have to eat anything specific, I eat what I like to eat. I don't put anything in my body such as a pill or sprinkles that keep me from eating more. I simply use a little something called WILLPOWER. I love the support. I love all my friends that I have made both online and in the meetings. These weight loss programs talk about not having to attend meetings as if attending meetings is a bad thing. They have never been to a WW meeting clearly! The love and support you get when you walk in that room is like no other. It keeps me pushing from week to week and I just wouldn't have it any other way. I don't HAVE to attend meetings. I CHOOSE to attend them. AND if I chose not to attend them, I could still follow the plan and make online friends who are just as supportive. I love the control and independence that I feel when I have a successful week and get on that scale to see that I lost 2lbs. I don't have to pat anyone on the back for cooking my meals or praise my little magic box for helping me lose weight. I pat MYSELF on the back for a job well done this week. I worked out, I cooked my own meals, I used my own willpower to stop eating when I was satisfied - I DID THAT!! Yea I counted my points..(that's another thing these commercials always make seem bad) and I'm damn proud of myself for being focused enough to do so. 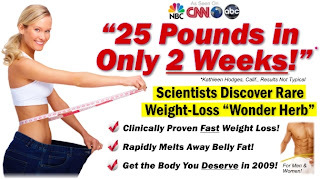 Look, I'm not saying everyone has to follow Weight Watchers (even though in my opinion it IS the best plan out there). All I'm saying is that long-term results don't come from short-term fixes. Long-term results come from changing your lifestyle and doing something that is maintainable FOR LIFE, but before you get sucked into these crazy infomercials, think before you act! I'll leave you with one thing that I thought was really cute. 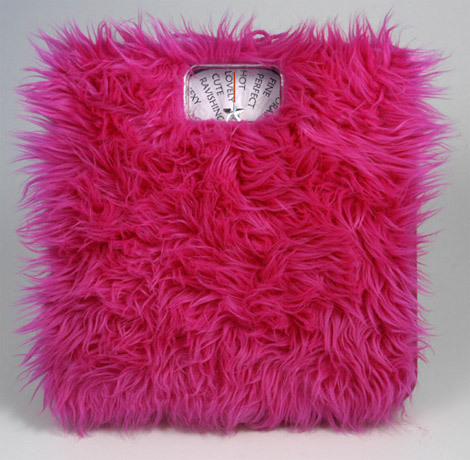 All scales should be so nice to us! Krystle, I swear sometimes you are writing what I'm thinking - I am so with you on this one! This is why I got so irate the other week on the gastric bypass issue! Everyone goes on about how bypass and bands are about training yourself to eat differently, how exactly does that differ from Weight Watchers?! If you want to lose weight, you eat more healthily and move more. You don't have to starve yourself or kill yourself on the treadmill. What is wrong with these people!? FANTASTIC POST! I feel the same way about WW! I'm a firm believer that SOMETHING will work for everyone, you just have to find what that something is. But I'm absolutely positive that your post title says it all! Great post, rright on the money! I love that scale! 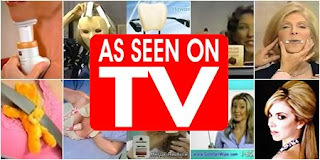 I do watch infomercials. Then I tell my friends how awesomely bad they are. I'm addicted, but not because I want the products, but because I'm addicted to hearing the false promises of overpriced products that don't work. I also love hearing about the "breakthrough" technology that each inventor has stumbled upon. To each their own I suppose but I mean just do something logical! Sprinkling little magic thingies on your food just doesn't make any sense.